Remove your sensitive personal information from the web and protect yourself from identity theft, hacks, spam, telemarketers and robo calls. Your free scan finds sites that expose your address, phone, email, date of birth, relatives, and more. Takes 60 seconds. putting your privacy and security at risk. Data brokers, advertisers and aggregators track and sell your personally indentifiable information without your knowledge or consent. Spammers, scammers, telemarketers and robo-callers buy your data to disrupt your day with spam, scams, unsolicited calls and junk mail. Identity thieves and hackers use your personal info to impersonate you, max out your cards, take over your accounts and wreak havoc on your life. data brokers track and sell about you. Remove your personally identifiable information from the 20+ data brokers that track and profit off it. Ensure your data isn’t exposed to spammers, hackers, stalkers, thieves, advertisers and anyone who Googles you. Get alerts and automatically remove any exposed private information that appears in the future. See if your home address, phone, email, date of birth, and more are exposed online. We scan the web for personally identifiable information you’d rather keep private. You’ll find out in 60 seconds whether your address, email, phone, date of birth, email, hometown, or other sensitive information is exposed by data brokers online. We remove your data from the 20+ major data brokers that track & sell it. Data brokers profit off your data, purposefully making it difficult to remove your information. We streamline this confusing and frustrating process into a single click. You rest easy knowing your data isn’t exposed to identity thieves, hackers, spammers, stalkers and more. Your private information should be just that – private. We make sure it stays that way, so you can live your life without worrying that you’re exposed online. Wow... everything you’d need to hack me was publicly posted on some sites I’d never heard of. Thank god you found and removed it. rebecca t.
Goodbye, spam! My email address is no longer being sold to marketers, so I’ve reclaimed hours a week I can spend on my business - not junk mail. brenda c.
My family is safer now that our home address, relatives’ names and phone number are hidden from stalkers online. Marc a.
I used to get 3 robo calls a day. After removing my phone number from the data brokers, telemarketers stopped calling me. JORDAN S.
When my dad's identity was stolen online, it took a year to clean up the mess. I wish he’d prevented it using BrandYourself Cara r.
I love knowing data brokers aren’t selling my data anymore. Thanks for giving me my privacy back. brad m.
See which data brokers know your home address, phone, email, date of birth, and more. "Everybody should check out BrandYourself." 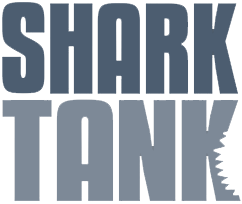 Offered a $2 million deal on ABC’s hit show Shark Tank. Honored BrandYourself as one of the top young startups in the U.S.
Named one of the 5,000 fastest growing companies in 2018 and “35 Under 35” in 2015. Partnered with Forbes to help its members take control of their online presence. Think your info isn’t exposed? Don’t wait until it’s too late. Is it really possible to protect your privacy online these days? With hacks and data breaches getting so much publicity, it’s become common to assume that nothing is private anymore. Fortunately there are powerful methods to help protect your privacy online. Removing yourself from data brokers is the first and most important step you can take. Why? Data brokers track and expose personal information like your email, phone, address, and date of birth to anyone with a search engine. By removing yourself from these sites, you prevent malicious people from getting your private information and using it to harm you. A data broker is a website that scrapes the web to find personal information about you, then makes money by selling it without your permission. Data brokers aggregate details like your email, phone, address, age, relatives, political affiliation, net worth, and much more – then make that data publicly available to anyone in search engines. They are the first place that hackers, identity thieves, spammers and robo callers look to find potential victims. Because they want your data, they make it frustratingly difficult to remove yourself from their database once you’re listed. However, we’ve successfully completed this process thousands of times. We specialize in getting that info removed as quickly as possible to help you protect your privacy online. Why should you remove your private info from data brokers? Prevent identity theft. If people can easily find your personally identifiable info online, they can use that to help impersonate you – then open bank accounts in your name, make charges on your credit cards, take over your online accounts, and more. It happens more often than you might think: over 1 million people have had their identity stolen. And it can cost thousands of dollars and take hundreds of hours to fix. The best prevention is ensuring that people can’t easily find identifying details about you online on data broker sites. Prevent hacks on your accounts. Hackers can use your private information to answer security questions and take over your online accounts. For example, knowing your past address and relatives’ names can sometimes be enough to access your email, bank account, and other sites. Other hackers may pretend to be you on the phone to gain access to your bank account, cell provider, and much more by providing the personally identifiable details listed on data broker sites. Even the most secure account passwords can often be reset by a gullible customer service agent. Prevent unwanted spam. Protecting your online privacy can also protect your offline privacy. Spammers and malicious marketers scrape the web for email addresses and phone numbers. They then systematically send unsolicited emails, mail, calls, texts and more – disrupting your day, wasting your time, and causing needless frustration. Experts estimate almost 200 hours a year are spent sifting through and deleting spam. You can help prevent spam by removing your contact info from data broker sites, where it often originates. Protect unwanted robo calls. Unscrupulous marketers use bots to automatically call thousands of people a day. If they can find your number exposed on a data broker site, they’ll add you to their call list without your permission. Once you’re on it, it can be very difficult to get out. They may even fake their own phone number to appear as though it’s coming from your current (or hometown) area code. This is another tactic they use to try to get you to pick up the phone and sell you things you don’t want. You can help avoid this by opting out of data broker sites. How does your "Private Info Removal" service work? For a one-time fee, our privacy experts will opt you out of the 20+ major data broker websites on your behalf. This saves you time, headaches, and is one of the best ways to protect your privacy online. Data broker sites don’t want people removing themselves, because it’s how they make money. So they purposely make their opt out process confusing, time consuming and unclear. Our experts will do all the work to handle the process for you, individually opt you out of each site, and let you know the status of all 20+ removals. We’ve been doing this for years, so we know exactly how to thoroughly complete each opt out process for maximum protection and speed. Next, we update you on our progress so you can track the status of each opt out request. Since each data broker handles opt outs differently, it can take them anywhere from a few days to a several weeks to remove you (once they receive a validated removal request). If we had it our way, it would be instantaneous. But each website has its own removal timeframe, so our requests will be honored at different times over the course of about 30-45 days. After 30-45 days, we confirm the removal of your exposed private info. We check each data broker site one by one to make sure that they’ve removed all private details you don’t want shared. You have better things to do with your time than individually check whether 20+ sites honored your removal request, so we do it for you. This process is one of the best ways to protect your privacy online by minimizing your risk of hacks, spam and identity theft. What do I get in my free scan? We’ll scan the 20+ major data broker sites for any potentially exposed info, including WhitePages, Intelius, InstantCheckmate, TruthFinders and Acxiom. We’ll let you know what is exposed and your risk level for each one. This will help you get a better idea of how at risk your online privacy is as a whole, and if you need to take action. How much does it cost to remove data and protect my online privacy? It costs $99.99 for a one-time removal of your data from the 20+ major data brokers. How much does it cost to monitor my data? You can enable ongoing monitoring and protection of your personal info and privacy online for $4.99/month. How does your "Private Info Protection" service work? For a small monthly fee, this optional add-on gives you peace of mind knowing we’re monitoring your private info for you over time. Most people prefer to enable it. Data brokers are notorious for re-exposing data months after they’ve honored an initial opt out. They often pass information back and forth to each other, in an effort to retain as much data as possible. We disagree with these ethics, so we created a service that’ll make sure your information does not re-appear. The reality is that if you want to truly protect your online privacy, you need to keep an eye on your situation consistently over time. Our monthly Private Info Protection service costs $4.99 per month, and ensures that if anything new pops up, that you know about it – and then we remove it before it puts you at risk of hacks, identity theft, etc. (Note that we are not affiliated with any of these data broker sites in any way).